Si Agimat, Si Enteng at Ako is one of the 8 official film entries for 2012 Metro Manila Film Festival (MMFF 2012) brought to us by Direct Tony Reyes and distributed by five big production companies namely Octoarts Films, M-zet Productions, Imus Productions, APT Entertainment and GMA Films. Si Agimat, Si Enteng at Ako will be shown in theaters nationwide on the 25th of December, 2012. This is a fantasy; action and comedy film from a crossover of Agimat and Enteng Kabisote film. Si Agimat, Si Enteng at Ako’s main casts are Bong Revilla Jr., Vic Sotto and the leading lady Miss Judy Ann Santos as Cassandra Maria de Acosta, “Ako” in the title. Judy Ann Santos plays a ‘diwata role’, a disguised environmental advocate named Angelina Kalinisan Orteza. Aiza introduced Angelina to her Daddy Enteng. The story of this story quite similar to the previous series of films they have shown on theaters. 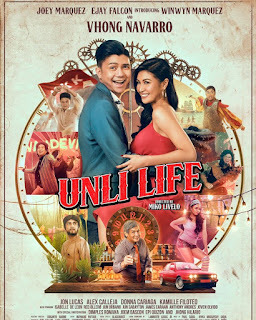 This was the second movie of Revilla and Sotto working together after their successful film Si Agimat at Si Enteng Kabisote. "...ang pressure namin ni Bong and Juday ngayon, eh how to put up a very good and enjoyable product and kung papaano namin malalampasan ‘yung huli naming ginawa.” Sotto stated. They are trying harder to surpass the pressure with the success they have achieved before during their film Si Agimat at Si Enteng. They want a more enjoyable product for the viewers. Si Agimat, Si Enteng at Ako passed the level of creativity, cultural or historical value, and commercial viability. Most of the scenes were taken at "Kapurpurawan" (white) rock formations in Burgos, Ilocos Norte. Other Si Agimat, Si Enteng at Ako movie casts includes Jose Manalo as Jose, Wally Bayola, Jimmy Santos, Ryzza Mae Dizon, Ruby Rodriguez as Amy, Amy Perez as Ina Magenta, Allan K, John Lapus, Gwen Zamora as Faye, Bing Loyzaga as Satana, Aiza Seguerra as Aiza Kabisote, Sam Pinto as Samara, Alden Richards as Fino, Yassi Pressman as Assunta, Kuya Manzano, TJ Trinidad as Byron, Oyo Sotto and King Gutierrez. Watch Si Agimat, Si Enteng at Ako on December 25, 2012. See you there.